People who are missing all or most of their teeth need a tooth replacement option that blends strength and natural beauty. 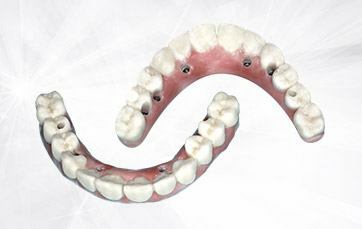 Dentures are one option, but because they rest solely on the gums, many become loose or uncomfortable over time. 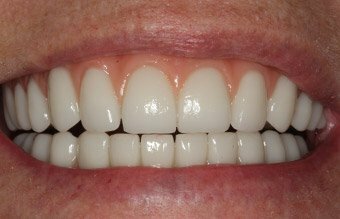 Dr. Shiloh Lieberman and Dr. Erin Page can provide an excellent alternative with All on 4/6 implant bridges in the Capital District. “I feel like a whole new person since I got my implants. After years of suffering with my lower denture, I now have no pain. It is wonderful. I was shocked at how much they felt like my own teeth... sometimes I even forget. I was very happy with the office — it's very comfortable, and all of the staff are just great. Coming here was the best decision I ever made. I am much happier now, and also it has really helped my self-confidence. I would strongly advise anyone else in my situation to get implants." Implant dentures stay secure in the smile because they are attached to dental implants surgically placed beneath the gum line. Traditional dentures, by contrast, rest on the gums and are secured by natural suction or with the help of a denture adhesive. Dental implants offer unmatched stability for a denture or bridge. The jawbone actually heals together with each implant, meaning the new tooth replacement is just as strong as any other bone in your body once recovery is complete. 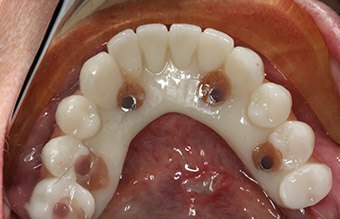 How Does a Full Arch Implant Supported Bridge Work? All on 4/6 provides patients with a fixed full arch dental implant retained bridge, or in other words, a full set of teeth attached by as few as 4 or as many as 6 dental implants. 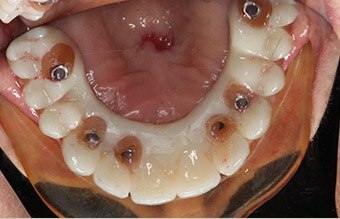 This method works using the strategic placement of 4 to 6 dental implants in the densest areas of the jawbone at specific angles. Those implants are anchors for a full arch bridge. 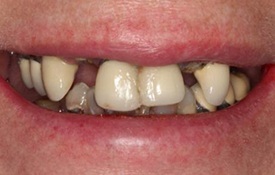 Compared to traditional implant placement to replace individual missing teeth (1 implant for each tooth), the all on 4/6 technique uses implants at specific locations and angles, drawing strength across the entire arch, allowing for the attachment of a full arch prosthesis (4 to 6 implants for an entire arch of teeth). To begin, Dr. Page and Dr. Lieberman develop a treatment plan using our 3D cone beam imaging technology to determine the ideal placement of each implant, and review this plan with you and our prosthetic laboratory. Each implant is placed using precise surgical guides, and a functional transitional bridge is placed on the day of your surgery. You return for your permanent bridge approximately 4 to 6 months later, after full healing is complete. Immediate load implant retained bridges, also known as “All-on-4” or “Teeth in a Day” have become one of the most highly sought after teeth replacement solutions in dentistry today. And, it’s easy to see why. Drs. 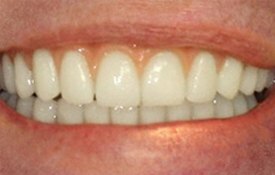 Page and Lieberman can provide you with a beautiful new implant retained smile faster than ever before. Our lab technicians travel to our office to work with our doctors, chairside, to deliver an implant supported prosthesis on the day of your surgery. For your convenience, the entire All-on-4 package comes at a fixed fee that includes guided implant surgery, a transitional aesthetic denture, and a final hybrid prosthesis with milled titanium substructure or a precision all zirconia bridge. State-of-the-art, computer-guided dental implant surgery aids in incredible accuracy and amazing results. Unlike other dental practices that send impressions on the day of surgery to dental labs for back-and-forth adjustments, our lab technician comes into our office on the day of your surgery. Our patients enjoy no wait time and instant, customized results that ensure optimal fit. After we place your implants, your custom-fitted provisional dental bridge is immediately fixed to your implants! It only takes one visit, and you leave with your brand-new smile on the day of surgery. After your implants heal over the course of 4 to 6 months, you return to our office to receive your final, permanent dental bridge. Get in Touch with Your Capital District Dentist! 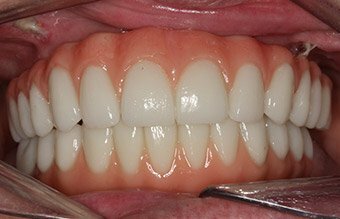 If you’re interested in learning about full arch teeth replacement solutions, including if this option could be right for your smile, please don’t hesitate to get in touchwith Dr. Erin Page and Dr. Shiloh Lieberman at Capital Smiles. Call or Request an appointment online today!